From its beginnings over 800 years ago, the University of Cambridge has provided a context for formation and training in Christian ministry. Today, working in partnership with the theological colleges and institutes of the Cambridge Theological Federation, the Faculty of Divinity offers the Bachelor of Theology for Ministry (BTh) degree. The BTh provides a stimulating academic environment and an unparalleled educational experience through which students can reach their intellectual potential in preparing for Christian ministry and service. Students examine the theologies, scriptures, histories, philosophies, doctrines and practices of Christianity, both within their own traditions and through comparative approaches. Current developments in scholarship and research and critical reflection on pastoral experience are central to the aims of the course. 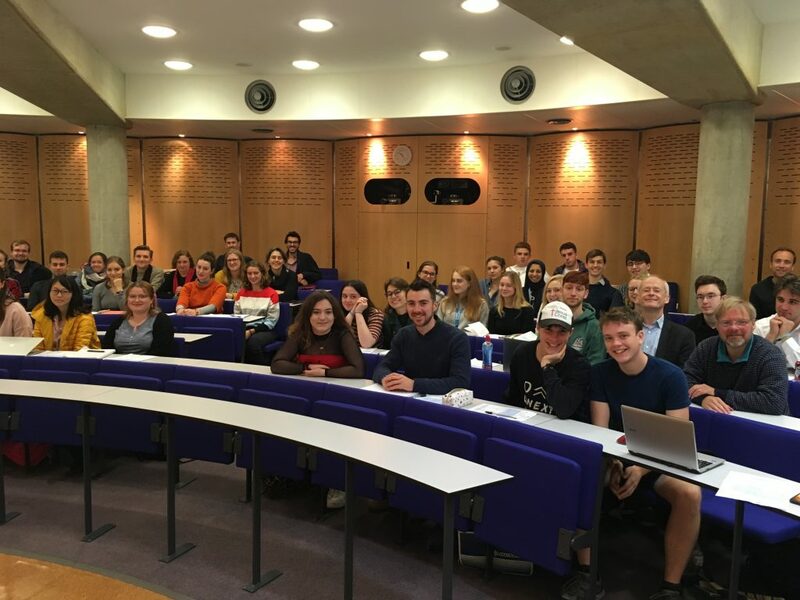 The BTh is studied on a full-time basis only; students apply for admission to the BTh through, and become a member of, one of the Federation’s Houses, and are also matriculated through a Cambridge college. Students from a wide variety of backgrounds are admitted for the BTh. Entry to the First Examination year is possible for those candidates who have satisfactorily completed study equivalent to 120 credits at Level 4 (Certificate Level) or who have a good first degree (at least a good 2:1). From September 2012, every undergraduate course of more than one year’s duration will have a Key Information Set (KIS). The KIS allows you to compare 17 pieces of information about individual courses at different higher education institutions. You may find the following notes helpful when considering information presented by the KIS. The KIS relies on superficially similar courses being coded in the same way. Whilst this works on one level, it leads to some anomalies. For example, Music courses and Music Technology courses can have exactly the same code despite being very different programmes with quite distinct educational and career outcomes. Any course which combines several disciplines (as many courses at Cambridge do) tends to be compared nationally with courses in just one of those disciplines, and in such cases a KIS comparison may not be an accurate or fair reflection of the reality of either. For example, you may find that when considering a degree which embraces a range of disciplines such as biology, physics, chemistry and geology (for instance, Natural Sciences at Cambridge), the comparison provided is with courses at other institutions that primarily focus on just one (or a smaller combination) of those subjects. Whilst the KIS makes reference to some broad types of financial support offered by institutions, it cannot compare packages offered by different institutions. Different students have different circumstances and requirements, and you should weigh up what matters to you most: level of fee; fee waivers; means-tested support such as bursaries; non-means-tested support such as academic scholarships and study grants; and living costs such as accommodation, travel. The KIS provides a typical cost of private (ie non-university) accommodation. This is very difficult to estimate as prices and properties vary. University accommodation can be substantially cheaper, and if you are likely to live in College for much or all of the duration of your course (as is the case at Cambridge), then the cost of private accommodation will be of less or no relevance for you. The KIS also provides the typical annual cost of university accommodation and the number of beds available. Note that since most universities offer a range of residential accommodation, you should check with institutions about the likelihood of securing a room at a price that suits your budget. Knowing the number of beds available is not necessarily useful: it may be much more important to find out if all students are guaranteed accommodation. Time in lectures, seminars and similar can vary enormously by institution depending on the structure of the course, and the quality of such contact time should be the primary consideration. Whilst starting salaries can be a useful measure, they do not give any sense of career trajectory or take account of the voluntary/low paid work that many graduates undertake initially in order to gain valuable experience necessary/advantageous for later career progression. The above list is not exhaustive and there may be other important factors that are relevant to the choices that you are making, but we hope that this will be a useful starting point to help you delve deeper than the face value of the KIS data. Entrance requirements Admission to this vocational award is at the discretion of the BTh Management Committee, which reviews all applications on behalf of the Faculty Board. At least a good 2:1 in a previous degree in another subject. The Faculty will expect to see a sample of written work. Students must apply through and hold membership in one of the Federation Houses listed above, and must also be matriculated through a Cambridge University college. Some prior theological study is preferable. Overview The Bachelor of Theology for Ministry (BTh) is a two year vocational degree. The course is divided into the First Examination and Second Examination years. Entry to the First Examination year is possible for those candidates who have satisfactorily completed study equivalent to 120 credits at Level 4 (Certificate Level) or who have a good first degree. The regulations require that candidates must complete a pastoral portfolio to the satisfaction of the examiners in order to proceed to the degree. The requirement of constant, intentional integration of pastoral activity, self-awareness and academic study makes it an intense experience and a good preparation for public ministry. In addition to examined subjects, candidates who are ordinands are also required by their Houses to attend Life and Service, Short Intensive Courses, a five-term Parish Attachment, an eight week Parish Placement, and a Social Context Placement. Teaching The BTh is taught within the Cambridge Theological Federation. As well as attendance at lectures and seminars, the BTh offers a particular emphasis on small-group teaching and regular supervision. Many subjects are team-taught by teachers from across the Federation, whilst others are taught alongside Tripos students in the Divinity Faculty. Assessment Assessment is by means of extended essays, examinations (which candidates sit at the end of each examination year) and a pastoral portfolio. The BTh is awarded according to the following classifications; firsts, seconds, thirds (and fail). Languages: Elementary Hebrew and Greek are both taught within the Faculty of Divinity and may be offered for the First Examination Year. Further papers are available in the Second Examination Year. Candidates must attempt one biblical language paper. To find out more or to apply, contact the Director of Studies at the member institution of your choice.